At the very beginning, IEEE 802.3an working committee followed the old PAM encoding mechanism adopted in 100Base-T for the encoding method of the physical layer for 10G Base-T. PAM5 takes 5 different signals balancing in replacement of the 2 digit encoding methods, thus making the best use of the bandwidth. Based on PAM5 in 10GBase-T, the required bandwidth is 625 Mhz. In June 2004, TIA revised the testing frequency from 625 Mhz to 500 Mhz, and to increase immunation and reducing the requirement for laser source, the encoding method was changed to PAM8, supporting 833 Mb and data rates in series and 400 Mhz bandwidth. The bandwidth for 10G system is revised to 500 Mhz and the Shannon capacity required for LDPC encoding is reduced to 15.9Gbps. At present, it is still not possible to carry out field measurement for ANEXT in either permanent link or channel testing. 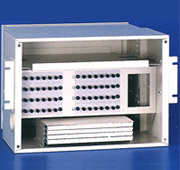 But Addison 10G cables and components has already been designed in consideration of the ANEXT margin. The NEXT of each pairs within a cable will changes according to different data rates, signal level and the twisting distance of each pair. In this regard, Addison redesign the cable structure and change the twisting distance using the separator, in order to reduce the interference between the different pairs, thus eliminating the ANEXT to a significant extent. 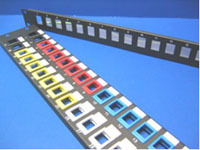 The Addison Cat 6e UTP cables can offer Shannon capacity of over 16Gbps. The aluminium screen can block out the electromagnetic signal and also prevent the cable from emitting signal to outside. And thus will not emit any signal to affect other cables. The drain wire does have the function of signal reflection, absorption and separation ability. It can isolate the copper conductors from the outside environment. Each cable inside the duct can run 10Gbps transmission speed without affecting each other. Generally, in a shielded system coupling attenuation will be used to measure the EMC ability of a cable. 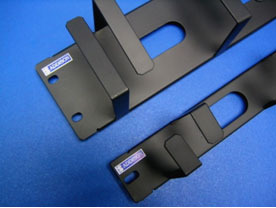 The NEXT values of a shielded 10G system are usually 20dB higher than unshielded 10G system. ADDISON can offer 10G cable for the gigabit applications. There are two options for selection One is to use Cat 6A10G cable which can run 10Gbps at 500 Mhz from 55 to 100m, depending on different cable design for the UTP cable. For the UTP cable type, comfortable drive distance will be 55m though higher driver distance can usually be achieved with the special design of the cable. Another is to use Cat 7/F class STP cable which can run 10Gbps over a full 100metres. This STP cable can even be suitable for future 650-1000Mhz high bandwidth application.